...you can buy Mini Accessories. 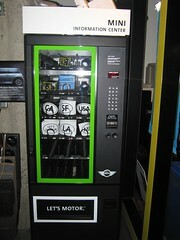 Mini vending machine at San Francisco Mini. Photographed at the San Francisco-to-Napa Mini Rally.